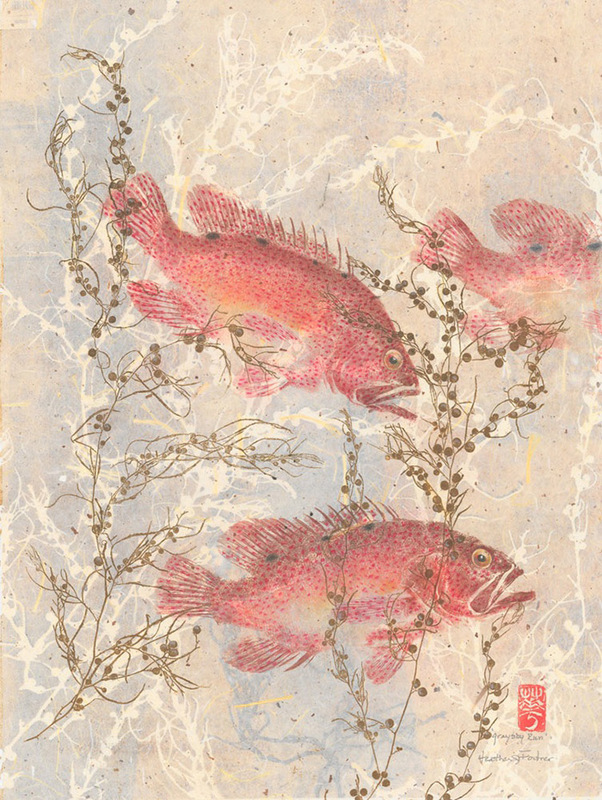 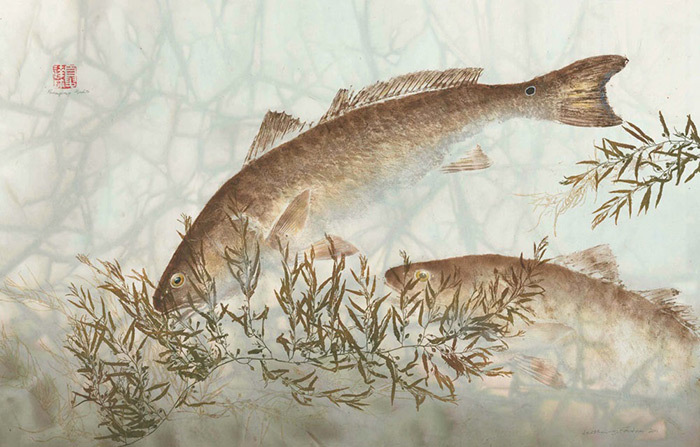 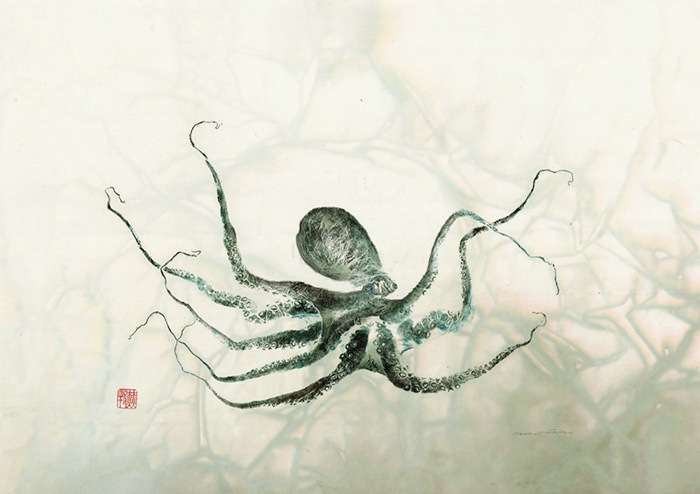 Gyotaku prints by Oregon-based artist Heather Fortner. 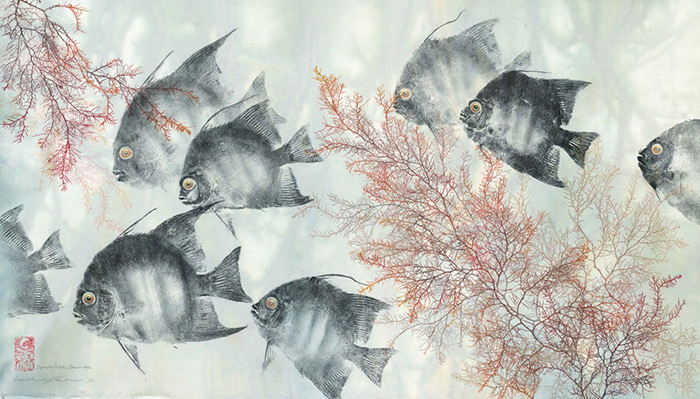 The art of making inked prints from real fish onto paper originated in 19th century Japan after some enterprising fishermen found a way to record their trophy catches. 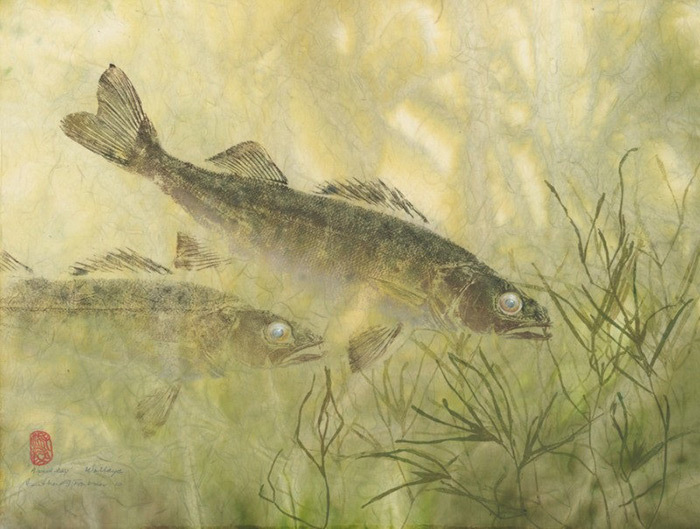 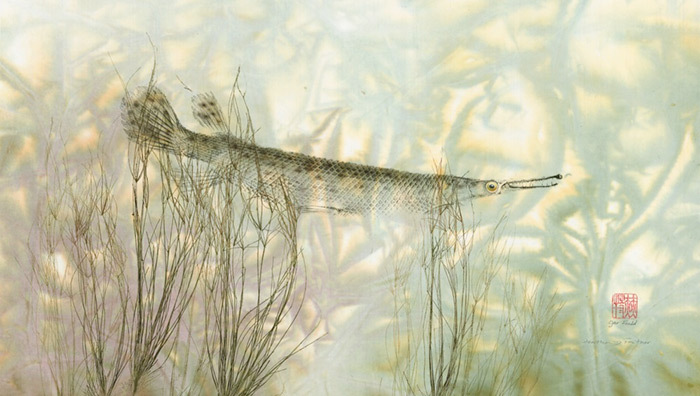 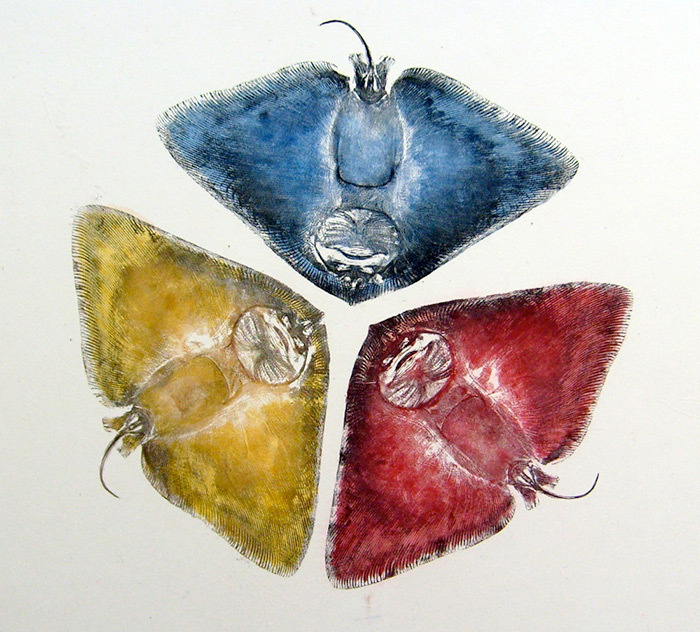 The "fish rubbing" technique usually involves two printing methods: direct and indirect. 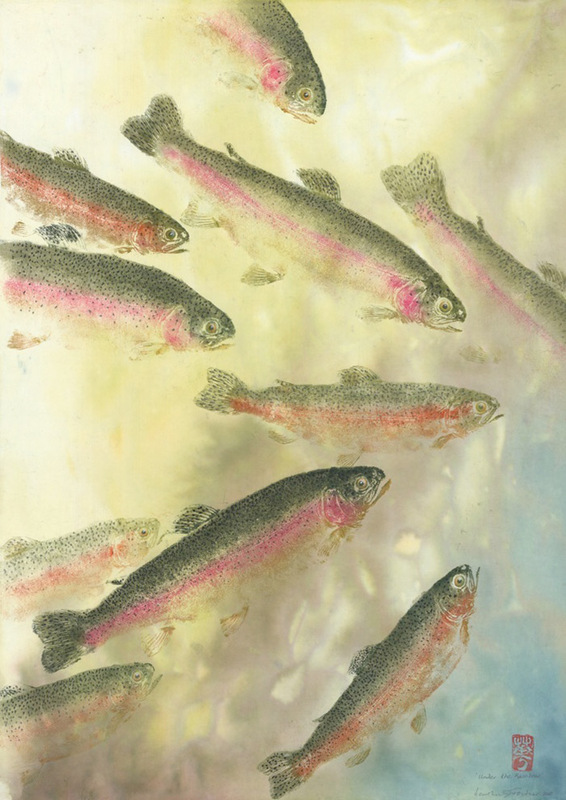 In direct printing, the ink is placed directly onto the fish using a nontoxic sumi-e ink which could be easily washed off whereas indirect printing involves gluing the paper to the fish and tamping the ink gently onto the page, like a gravestone rubbing. 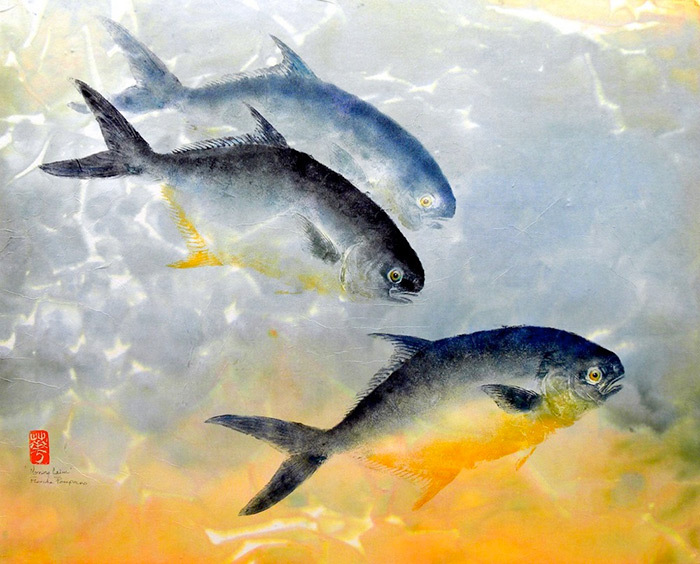 For more traditional fine art printing and mounting, the folks over at Bumblejax.com offer an array of unique materials to display any type of print including bamboo, acrylic and raw aluminum. 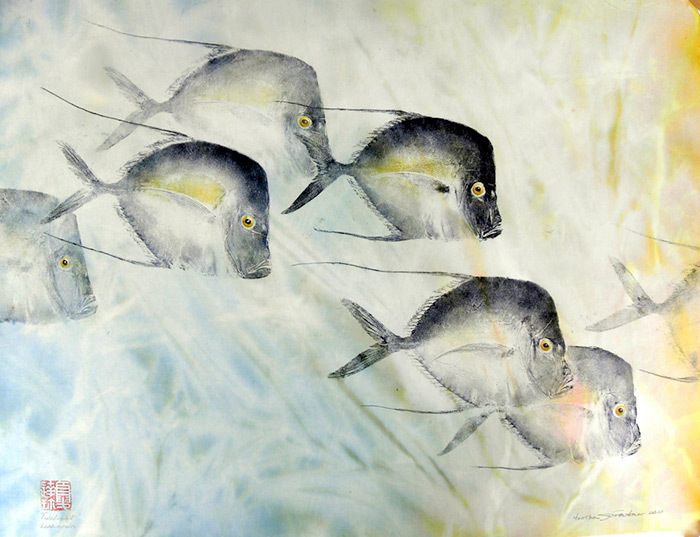 Ink prints from real fish.